Monitor Audio Silver 200 review | What Hi-Fi? So here we are in the presence of the sixth generation of Monitor Audio’s Silver Series loudspeakers. Granted, it’s not quite the same generational distance as between Danny Dyer and King Edward III, for instance, but it's still an impressively lengthy lineage. Especially when you consider how much we’ve enjoyed each previous incarnation. This time, the focus has been on creating a family bond – a sonic character running like a bloodline through each of the nine models in the series. Monitor Audio suggests its new Silver speakers become simply more powerful and dynamic the further you go up the range, without changing characteristics. The Silver 200s are the smallest of three new floorstanding pairs in this series. The benefits of their slender form have been maximised by Monitor Audio’s engineers, who’ve worked to tune the speakers so they work best around 50cm from a back wall, but with only minor variances in tonal balance when they are placed closer to the wall, or a decent way out into the room. In effect, they should be the most versatile Silvers yet. According to Monitor Audio, the whole range has been designed for ‘modern living’, with two HiVe II reflex ports positioned at the back of the cabinet and slim magnetic-held grilles for a neater, more elegant look. The HiVe II ports use a straight-rifled design to accelerate airflow and reduce turbulence – effectively moving air out more swiftly for fast, powerful bass response. The company also sought the help of the National Physical Laboratory’s precision laser scanner when creating the cabinets, using it to identify resonances and then help position internal bracings more accurately to ensure rigidity and minimise colourations. But that slim line cabinet is just the beginning when it comes to the changes the company has made to boost these Silvers’ performance while honing the aesthetic. Equally eye-catching is the speckled grille, behind which sits a new version of Monitor Audio’s iconic gold-dome tweeter. It's fine-tuned for clear, smooth and distortion-free high frequencies. The Silver 200s are a 2.5-way driver design, with a pair of 13cm C-CAM (ceramic-coated aluminium/magnesium) drivers sitting directly below the tweeter. The upper functions across midrange and bass, the lower focuses on bass frequencies. These units have been redesigned, and are aided by a dynamic coupling filter (DCF) coupling mechanism - a clever way to connect the voice coil to the cone - trickling down from the company’s flagship Platinum II Series. The intention is lower distortion and cleaner-sounding highs. Finally, as you should ideally enjoy looking at your speakers as much as listening to them, Monitor Audio offers six choices of finish: black oak, walnut, rosenut, natural oak, high gloss black or our review sample, satin white. We’re no superstar DJ, but we could hardly have picked a better record than LCD Soundsystem’s This Is Happening to begin testing the Silver 200s. The percussive intro of Dance Yrself Clean immediately shows off just how fast these speakers are. The tune snaps in perfect time, with all the cleanliness implied in the title. Synthesizer stabs arrive precisely on each bar’s first beat and each component of the sparse arrangement is handled with great organisation. It’s also a good opportunity to trial the supposed versatility in positioning. The 200s are perhaps at their fastest when brought into the room - they lose just a hint of detail and precision when placed much nearer a rear wall, though a slight increase of low-end weight brings a more natural rendering of rhythm and timing. Wherever we position the Silver 200s, though, they deliver a sense of fun that has been slightly lacking in previous generations. They have power to burn when driving this particular record, but also the dynamic sensibility to do it casually, framing James Murphy’s effortless, laid-back delivery. But don’t think Monitor Audio has forgone any sense of refinement in pursuit of excitement. This is still a very mature performance, highlighted by a penchant for rhythmic and instrumental organisation as well as a smoothly levelled balance. Again, bass frequencies and bass response will be marginally affected by positioning, but never to the extent of skewing the frequency range too much one way or the other. At the lower end, the Silver 200s reach those pulsing frequencies you feel more than hear, while there is plenty of headroom too. Most important, though, is the richness and clarity throughout. Nowhere do these speakers sound flabby, coarse or thin. We turn our reference amplifier up high – as we are encouraged to do by the Monitor Audios’ performance – and at no point does anything other than a potential noise complaint urge us to turn it down. Monitor Audio has taken care not to let the Silver 200s become preoccupied by analytical detail. Having tested many pairs of speakers that favour resolution at the expense of musicality, we think it a wise move. But that would be to undersell the Silvers somewhat, because there is an impressive amount of clarity and detail here - more, to the best of our recollection, than ever before. Playing Clint Mansell’s score for Darren Aronofsky’s The Fountain, for example, the strings of the Kronos Quartet have a texture that resonates in the bodies of their instruments and reveals the room around them, their timbres juxtaposed nicely against sounds that have been digitally treated. If it’s insight you’re after, the Silver 200s certainly aren’t lacking. They deserve praise for how forgiving they are when fed lower resolution files and coarse bedroom recordings, treating them as pieces of music rather than exposing their shortcomings at the expense of enjoyment. There may well be rivals that offer a little more in terms of outright detail, bass weight or even aesthetics – as we enter Awards season we’ll surely find out. 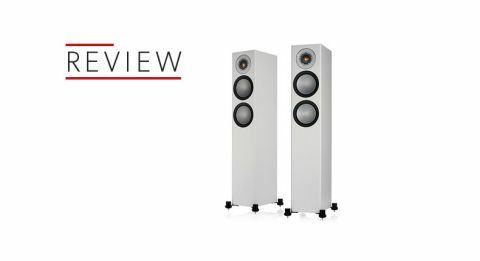 But if we create a tick-list of what makes a great all-rounder, these new Silver floorstanders pass every test and have a great deal of fun while doing so.